This year, and the new investment cycle that we’re launching within it, in many ways represents a turning point for Serbian infrastructure. It is a turning point due to the fact that it creates a clear distinction between the past and that which remains behind us and that which is ahead of us and will mark the years and decades to come. In 2019 we are finally putting an end to the problems of the unfinished Corridor 10, neglected rail tracks and unreformed railway companies, as well as road maintenance contracts that are more than 20 years old, just as we have already done with the many years of waiting for construction permits and the formerly unregulated and inefficient real estate register. We dealt with inherited projects and problems in the previous period, fighting to overcome lost time and returning to the chances that were missed due to insufficient investment and the lack of a clear strategy. Over the past four years we’ve asphalted almost 300 km of highways, including sections of Corridor 10 and Corridor 11, which have been completed and will be released for traffic in 2019. Thanks to this, a total of 53.7 million vehicles used our highways in 2018, which is almost 20 million more than in 2013. We have also renovated more than 500 km of rail tracks, on both national and regional routes, and procured 48 new trains. In the construction sector, a completely new legal framework has been created, while Serbia is now competing on the issuance of building permits in the World Bank’s Doing Business Index with the world’s most developed countries. Our regulations in the field of road, rail, air and water transport are harmonised with European regulations and we’ve already achieved European standards as a country in certain areas of transport. After a break of many years, construction is again the driver of economic growth, with the value of the works having increased from 190 billion dinars in 2013 to 332 billion dinars in 2018. Thanks to everything that has been done – and here I’ve only mentioned one part – Serbia is starting from a better position in the new investment cycle than in 2014. We are entering into new investments with an arranged system for project management, great experience in solving problems, but also with trust having been built in us implementing that which we’ve promised to implement. This obliges us to continue realising projects with maximum efficiency in the future, and to do everything to make construction and transport the drivers of the development of business and Serbia’s economic growth for many years to come. The launch of the new investment cycle should lead to Serbia connecting with its neighbours and enable the country to position itself as a transport hub in all areas of transport. The start of the construction season will mark the beginning of works on the Corridor 11 highway, from Preljina to Požega. We will invest 450 million euros in the construction of this road, which is being built by Chinese company ‘China Communications Construction Company’. 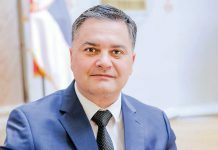 This section, covering a distance of 30.9km, will continue with 120 kilometres of highway towards Montenegro, from Surčin to Obrenovac, which will be completed by year’s end. We plan to launch construction of the first section of the Belgrade-Sarajevo highway in June, from Sremska Rača to Kuzmin, covering a length of around 17 kilometres and worth 225 million euros. This is the first highway that will connect Serbia directly with Bosnia-Herzegovina and Republika Srpska. We’re also planning to commence works on two other projects in 2019: construction of the Ruma-Šabac-Loznica highway and high-speed road link, covering a total distance of around 80 km long, and construction of the Moravian Corridor. This corridor, in the form of a highway from Pojate to Preljina, will connect Corridor 10 and Corridor 11 via part of central Serbia that’s home to around 500,000 people. For this project, we will for the first time – after European, Chinese, Russian, Turkish and Azerbaijani companies – also engage an American company, Bechtel. The value of this project has been confirmed at a total of 800 million euros. Furthermore, we’re also preparing to launch construction of the first section of the Niš-Merdare-Priština Highway, from Niš to Pločnik, covering a length of 33 kilometres and valued at 212 million euros, which will be financed using EU grants and loans from European banks. In the area of railways, the goal is to modernise the complete rail route of Corridor 10. 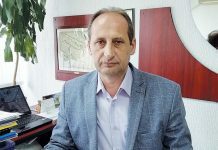 This will imply the completion of works on two sections of the Belgrade-Budapest highway, from Belgrade to Novi Sad, and the construction of a third section, from Novi Sad to Subotica, for which a commercial contract worth 1.1 billion U.S. Dollars has been signed. Alongside the modernisation of rail tracks from Niš to Dimitrovgrad, in a project worth 268 million euros that will be commenced this year, it is also essential in the next few years that we complete the renewal of the as-yet-unreconstructed sections of rail routes from Belgrade to Niš and Niš to Preševo. With the establishing of an efficient rail link between Southern and Central Europe, i.e. between the Port of Piraeus and Budapest, via Serbia, our country will become an unavoidable part of the European transport network, but also part of China’s global “One Belt One Road” initiative and an important corridor for the movement of goods in both directions between China and Europe. During 2019 we’re also launching preparations of project and technical documentation for the unreconstructed section of the Belgrade-Bar railroad, covering a distance of 270km, as well as construction of a new railway dispatch centre, which will enable safer rail transport that’s more reliable and more efficient. Air traffic has undergone tremendous changes over the last few years, which are primarily reflected in the accelerated development of two international airports. The Belgrade Airport has increased the number of passengers handled between 2013 and 2018 from 3.5 to 5.6 million passengers, which ranks it among Europe’s fastest growing airports. 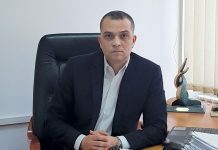 State investments in the Niš airport prompted interest among commercial airlines, thanks to which the Niš airport had exceeded a total of 350,000 passengers served by 2018, while in 2014 it had served just over a thousand travellers. With the concession for Nikola Tesla Airport, we’ve secured the major investments that were essential to the further development of this Belgrade airport – more than 700 million euros over the next five years. However, the state will direct its resources towards the development of small airports. Alongside the continuation of investments in Constantine the Great Airport in Niš, the focus in 2019 will be on launching the work of the Morava Airport, which is set to become Serbia’s third international airport. In the first phase of works at this airport, until June 2019, 8.5 million euros will be invested, in order for this airport to be ready to receive its first planes as of June. In the next phase there are plans to construct a special cargo logistics terminal, which is important for all investors in the three regional districts of Raška, Morava and Šumadija, which have a combined population of more than 800,000 residents. After a break of several decades, investments in water transport infrastructure have not been neglected this time, but rather represent an integral part of the new investment cycle, together with investment in roads and railways. More than 200 million euros will be invested in organising the navigable waterways of the rivers Sava and Danube by 2023, including the reconstruction of ship locks at the Đerdap 1 and Đerdap 2 hydroelectric power plants and construction of a new terminal at the Port of Smederevo. In addition to this, plans also include the construction of a new port in Belgrade and the extension of the existing port in Sremska Mitrovica, which will enable further growth in the volume of freight transported by water and utilisation of the Danube’s full potential. With the completion of the road sections of Corridor 10, the launch of a new investment cycle in physical barriers is also slowly being left behind. However, we cannot feel the full effects of these investments if haulage vehicles or trains are forced to wait five, 10 or 15 hours at borders. This is why it’s important to work in parallel on the removal of non-physical barriers that represent significant barriers to the growth of GDP in the region and economic development as a whole, because they partly cancel out the positive effects of investments in infrastructure. With individual countries of the region, primarily North Macedonia and Bosnia-Herzegovina, the construction of unique border crossings on rail routes, according to the “one-stop-shop” system, has already been initiated at the bilateral level. The removal of non-physical barriers represents an important part of the mission of the Transport Community, headquartered in Belgrade, and an important goal within the scope of the Agenda of connectivity with the EU for the countries of the Western Balkans. Without the removal of non-physical barriers it is difficult to imagine the creation of a unified transport market, which is the aim of the Transport Community, or a regional transport system in which the countries are integrated mutually and with the EU. Considering the significant impact that transport has on the entire society, but also the EU Declaration on Equal Opportunities for Women and Men in the Transport Sector, of which Serbia is a signatory, a comprehensive study on the state of gender equality in the transport sector has been confirmed, with the support of the World Bank. This will form the basis of the first national strategy in this area, with the aim of improving transport services, on the one hand, and, on the other, enabling greater access to employment in this sector for women and creating equal conditions for professional promotion. Everything that’s been done in the area of transport infrastructure construction, along with the creation of a legal framework with favourable conditions for investment, has contributed to the construction sector restoring its position as a driver of GDP growth in 2018 (with growth of 4.4%) and to construction’s contribution to GDP increasing from three per cent in 2013 to 4.7% in 2018. Testifying to the extent to which reforms have come to life and citizens and investors have recognised what good laws and simplified procedures mean to them is the constant growth in the number of issued building permits, the number of active construction sites, the number of decisions brought on the legalisation of real estate, completed conversions, and reduced times for real estate cadastral registration… Following reform of the real estate register and the unifying of property registrations for citizens to be conducted in only one place, with a public notary, we are launching the new ‘E-space’ reform, which will enable the processing of planning documents to be carried out completely electronically, faster and more transparently. Finally, with the reforms we’re currently implementing, we expect Serbia to advance even further on the list of the World Bank’s Doing Business Index in 2019 compared to last year, when we expected more but found that others were faster than us and implemented more reforms. When we draw a line on progress achieved to date, we see that everything we’ve done in the previous four years represents the foundations on which we are continuing to build. New projects await us, which we are launching with a clear vision and goal, with great experience amassed during the previous period, but also with the same energy and determination that we’ve shown so far in overcoming all the obstacles confronting us on that road.